About · Orthotic Solutions, Inc.
Orthotic Solutions is a fully-functioning pedorthic facility and Orthotic laboratory, providing custom-made orthotic inserts and related shoe modifications. 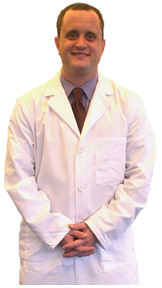 Orthotic Solutions was founded by Spencer Weisbond who is our Board-Certified Pedorthist. When you visit our facility for a consultation, Spencer will personally evaluate your condition and provide options for you. He is also involved in the manufacturing process - thereby ensuring consistency throughout. Spencer B. Weisbond, C. Ped., is a board-certified Pedorthist, and has been crafting custom-made orthotics by hand for over twenty years. Spencer's client roster includes numerous established podiatrists and medical doctors as well as professional athletes, dancers, performers and people from all walks of life. Spencer first received apprentice training at a local orthotic company in NYC starting in 1991. It was there that he developed the skills necessary to properly understand the numerous problems routinely occurring in feet, as well as the correct methods to evaluate and to treat such problems. Spencer received his accreditation as Certified Pedorthist in 2000 after completing his courses at New York College for Podiatric Medicine. Spencer specializes in orthotics for: Plantar Fasciitis, Metatarsalgia, Posterior Tibial Tendonitis, Achilles Tendonitis and Interdigital Neuromas. As a trained clinician and technician, Spencer is able to both evaluate the patient and design the proper corrective orthotic personally.